Are you in search of a Haines City dui attorney? Look no further than the law office of Finebloom, Haenel & Higgins. 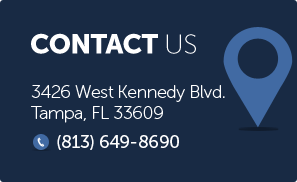 Our firm is dedicated to providing the highest quality dui attorneys Haines City residents can have fighting their case! There are several ways a quality dui lawyers in Haines City can challenge your dui arrest. Did you take breath test? Currently there is litigation against CMI, the makers of the Intoxilyzer 8000. Because FDLE and CMI don’t always provide information about the Intoxilyzer when subpoenaed some judges will throw out the result because there is no guarantee the result is accurate. Also, mistaken readings are possible because of errors on the part of the officer. In order to know if these defenses may apply to you, it is important to consult a Haines City dui lawyer. It may also be possible to challenge the reason you were stopped, your investigation or your arrest. When consulting with a dui lawyer Haines City arrestees have an opportunity to discuss these possibilities. A successful challenge to any of these events in your case could result in a dismissal of the charges against you. Of course not all cases have the possibility of dismissal. If dismissal or reduction in the charges is not possible, then the dui attorney you hire will try to help you obtain the best possible sentence. The possibilities for sentencing depend on how many prior convictions you have had and how high you blew. For your first offense, you may face a license suspension from six months to one year. There is a mandatory requirement of at least 50 community service hours. It is possible to receive six months in jail (up to 9 months if you blew over a .15) and fines of at least $500. As a first time offender, you may be able to avoid jail time or have criminal charges dropped with the assistance of a dui attorney. Haines City residents or arrestees can discuss the options are available by calling a qualified Haines City DUI lawyer who understands the ins and outs of Florida’s dui system. For your second DUI offense there can be 10 days of mandatory jail time. The maximum jail sentence is nine months unless the blow was over .15 in which case it is one year. The minimum fine is $1000, and your license may be suspended for up to 5 years. To determine if you fall in a category that carries the maximum penalties you need to speak with an experienced dui attorney. A third DUI offense can be considered a third degree felony if it occurs within 10 years of a prior conviction. If the dui is a third within 10 years there is 30 days of mandatory jail time, a $4,000 minimum fine, as well as license suspension for 10 years. Haines City dui attorneys who have defended clients with multiple DUIs may be able to challenge the felony filing of your third dui under some circumstances. If the charge is not able to be filed as a felony, you still can face up to one year in the county jail for a third time dui. Forming a customized defense strategy is one of the most important tasks dui attorneys in Haines City perform. At the law office of Finebloom, Haenel & Higgins we realize how important a proper defense can be. Let us help you today! Call us now at 1-800-FIGHT-IT. We are available for consultation 24/7. Let us help you fight your case!